Published on November 9th, 2015, in News. 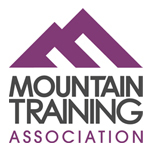 Hillwise are pleased to announce that Suzanne Partridge last weekend passed her Hill and Moorland Leader Award, a Mountain Training qualification that allows her to lead groups on moorland and hills which don’t entail scrambling, ropes etc. This means she can now take a more active role in the business when required, as well as assisting the training of local Scout teams training for the Ten Tors event. Her next challenge will the the MT “Expedition Module”!